A mobility scooter that folds up on the press of a button. It seems a genuine novelty but the Di Blasi R30 Folding Mobility Scooter is not the only one on the market. Click here to find out more about it. I like the 1930’s style and the large wheels so it can go over bumpy terrain that is not possible with nearly any other lightweight mobility scooter. The wheels have a diameter of 31 cm (12.5 “) compared to the diameter of 12cm (7.5”) for a Travelscoot. So it is much easier to ride over rough ground and mounting dropped kerbs that are a 1 cm+ barrier. The bigger wheels mean greater clearance and a smoother ride. I’m worried about the front wheel drive with all the weight towards the back. How robust is it? Will it fold if the metal frame gets bent? How easy is it to bend one of the struts? A big test with lightweight mobility scooters is being able to store them. The R30 folds down to 65cm(w) x 37cm x 48cm(h) cm (25.6″ x 14.6″ x 18.9″). This you store almost anywhere. Lift up a box that weighs 21.8 kg (48 lb) with no obvious handholds. The video make this look very easy because it is done by someone without a disability or balance problems. I certainly could not do this. Quite often I travel to London by train. Would I fold up the R30 before getting onto the train or when I was on the train? I use a Travelscoot mobility scooter; it is more compact, lighter and takes up less space when I ride it. Why buy a mobility scooter? It is important to consider where you will use the scooter, what you are going to use it for and when. Will you use for shopping, taking a dog for a walk or just for visiting friends? Could you take it into a coffee shop ot pub? I take mine onto public transport. I tend to be a bit clumsy so it must be sturdy. I need to be able to carry shopping easily on my scooter. I cannot drive so I never need to put it into a car on my own. I like the look of this scooter, I think iy would be fun to ridw. I’m not too sure how well it would suit me. The Travelscoot suits my requirements and needs perfectly. It ticks all my boxes. I not actually in the market for a disability scooter, I already have a Travelscoot however I am always interested to hear people’s honest thoughts about their own lightweight mobility scooter. I know they all their own unique pros and cons. Good of you to think of me and feel free to submit your own feelings about the Di Blasi. I have no idea. I have looked at the first 3 pages of Google and they are all UK sites. You might have better lucks usign US search engines. Otherwise I cannot offer any help. I don’t know about the R30 but I have a Di Blasi RD34 which has been really useful, giving me a lot of freedom and fun. Unfortunately, my MS has progressed to the stage where I cannot ride it. I’m therefore selling it. If anyone is interested in it, then do let me know. I’m sorry that your MS has progressed to the stage where you have lost this bit of independence. It must be heart breaking. I will do a post on my website this weekend and mention it in my weekly newletter. I would like a photograph of the the Di Blasi RD34. Also I would appreciate a bit of information. Why you liked it, good points, condition etc etc. Please send this to my email address patrick@aid4disabled.com. Details about whether you will ship to another part of the UK, who pays and an indication of where you live would be helpful. Once the post is up on the website I am not involved in the selling process but please do tell me when it has been sold. The Travelscoots always sell quickly and I hope this one will be no exception. Dear Martin have you sold your scooter ? I’ve had a DiBlasi scooter for five months now. My first one was replaced because it got stuck in slow speed, and the reverse stopped working, so it went back. The replacement Di Basi is a lot of fun, it is reliable but it doesn’t like the wet. I got caught in heavy rain; it went along, but then wouldn’t start again after I got indoors. It was fine after it dried out. It is heavy, I can just about get it in my boot, but it’s a bit of a struggle. I have MS. Pleased you like the Di Blasi. I don’t think any mobility scooter likes the wet, my Travelscoot does not like snow or slush on the ground. Not too sure if the problem is the battery or motor. When folded up there is no easy handle to pick it up as far as I can see. Strikes me that it is similar to picking up a 25Kg cardboard box. For me the problems would be the weight and my balance. However it does look great fun to ride. Wouldn’t it be better if the demo video used someone with a mobility problem, after aLL that is who it is designed for. Hi, I have just seen your page and thought I would offer a little feedback on the Di Blasi R30 as i’ve owned one for just over a year. My name is Andy, I also have MS (18 years) and have been putting off using a scooter for far too long. None of the scoots I saw really appealed to me until I stumbled upon (No pun intended) the R30. As an ex motorcyclist I love the mechanical overtones that come in spades with the R30. On the whole It has been a great experience, very reliable, with only a couple of small hic-ups that were entirely my own fault. As with most manufacturers claims the stats are a little misleading as 16 miles on one charge is just not doable unless it was all slightly down hill, I would say nearer 4-5 miles is closer to the mark in real world up hill and down dale situations. The instruction manual states not to be used in less than 5 degrees outside temp, Not sure how this compares with other scooters as im assuming its a electrical/dew point thing and surely that’s going to be the same across the board unless your scoot has a sealed motor/full system? I think this is belt and braces but also when its this cold i’d rather be inside anyhow. The R30 is very good on fairly rough terrain, parks and bumpy grass are no problem and even some small curbs/lips are manageable due to its 11cm ground clearance. I have only been stuck once and again this was due to my own over exuberance. The price here in the UK is as per usual a little OTT and a good search on the net will see £400 knocked off the UK price along with 2 years warranty instead of 1 year here in the UK if you don’t mind shopping in euros and buying from abroad (you can send it back to Europe 8 times for £400 was my thinking) its a no brainer but touch wood all has been good so far. I have customised it, Enjoyed it, Bonded with it, even Crashed it and have had so many people come and ask about it, Take details and comment on it that I’m thinking of starting an owners club. Heres a couple of clips of my little HotRod, more to come. I like the videos, all in all it looks a bit of a blast. Yes the Di Blasi is a little cumbersome as my balance isn’t what it was, Fortunately my partner can lift it in and out of the boot with out to much trouble. Even though the Travelscoot requires a little more effort and balance to set up, the fact that it is good to go even in winter has to be a serious plus point. Treat your self to a Travelscoot, an early ?Christmas present 🙂 If you do then I would be interested to hear about the differences between them from you. Just gought one form Holland – much cheaper than UK. Like it basiucally 0 but big concern over range. After 1.3 miles the gauge was showing halpf down, and by 1 mile, the gauge was on the final, red light. perfectly level road and paths, tarmac – so nothing serious. Windering if I have a battery problem – brand new, and had been on charge overnight. Should have said that gauge was showing halfway after 0.3 miles! Apologies for poor typing. Umm, something not right there. i mile is not very far. Check instructions then suggest you try to find out how far you can go until battery completely empty then speak to the vendor. Strikes me something faulty. 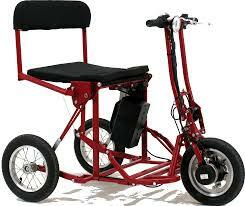 I’m wanting one as back up scooter for dog walking as I have a class 3 mobility scooter for main daily use, get into smaller areas where my big scooter is too big (like nip to village post office) or be able to go on day trips with brother who would be able to load it in his estate car. I was looking at the Di BLasi cos of bigger wheels for getting on grass (caravan sites etc) but worried now about it being stuck on slow. The Supascoota HD looks good but again limited to 4mph in UK would be good if could get speed limiter removed for off-road use and at least have an option, after all you can buy class 3 scooters at 8mph perfectly legally so why can’t they just do a more off-road one with same compactness but 8mph, or even 6mph? You would need to talk to the manufacturer about removing the speed governor and I do not think it would be a feasible option. I bought an R30 in June this year. I very much liked it. I can, just, put it in the boot of my car, and it is fun to drive. I like its foldability, and its manoeuvrability. You can buy it from Cavendish in Waterlooville. I wasn’t so keen on a Travelscoot as there is no UK supplier. My only worry is reliability. At the moment it’s stuck on one speed, the slow speed, which is frustrating . Yes the supplier of Travelscoot is based in Germany but in this day and age that is not realy a problem. Anything that needs doing can be done through a good bicycle repair shop and it truth there is little to go wrong. In my opinion the Travelscoot ticks a lot of boxes. The only major problem, there is no locking key so just take the battery out if you have to leave it anywhere. I am not a vendor. The website is trying to make people with a physical disability more aware of things that can improve their quality of life. I like thwe fact that it folds up and down automatically but I do think it is a awkward shApe to lift, it does weigh 25 Kg. Try the manufacturers http://www.diblasi.co.uk/. I use a Travelscoot and think I think it is excellent. 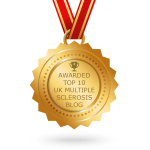 I am disabled with multiple sclerosis. Liane it is available in Australia. Stockist in Victoria. Google the web site. They are very helpful. There were a few changes to make it comply with Aus. Have had mine about 6 weeks now and becoming used to it.